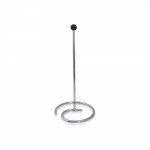 "If you were missing some decanter accessories in our catalogue, now you will find a complete sectio..
A unique combo that will help you clean your decanters without a scratch. 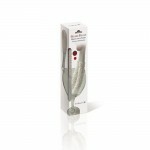 The decanter cleaning comb.. 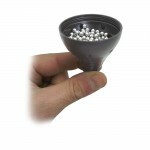 The drying stick is a two parts item that once joined, allows the user to hang a decanter to get dry.. This Brush has been designed to clean effectively all kind of glasses. Very fluffy and absorbent mat..
Another amazing way of decanting the wine. 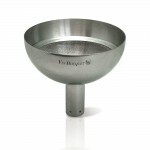 This metal funnel helps aerating the wine thanks to its b.. 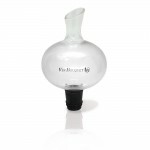 The new design patent pending mini decanter will delight the wine experts. Place the mini decanter i..